WS Electric & HVAC provides commercial and industrial heating and cooling (HVAC) property management services throughout the Huntsville and Decatur, AL areas. Begun in 1975, WS has the experience under our belt and the area’s best HVAC techs so you can rest easy with property management from WS! WS provides unparalleled commercial property management for companies in the Tennessee Valley. From heating to air conditioning to indoor air quality, our seasoned HVAC technicians have the expertise to keep your air systems running smoothly! From getting the necessary permits and inspections to being bonded, licensed and insured, our commitment to safety will allow you to rest easy while we’re hard at work. Interested in commercial or industrial property management from WS Electric & HVAC? Contact us today! 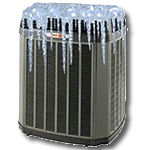 Don't let lack of funds stand in the way of you upgrading your outdated, costly HVAC system. Ask us about financing options available!